If you're anything like my family, we love a good dip or salad dressing. I have a few favorite brands (Bolthouse Farms, Newman's Own, and Simple Truth), but as often as we use them, the expense adds up FAST! Making your own dressings and dips is so EASY and so QUICK. Often times, you don't even need to buy anything - you already have a lot of the ingredients in your pantry! Whisk all ingredients in small bowl or add to jar with lid and shake. ♥ This dressing is so great over a leafy salad with dried cranberries, soft cheese, and pecans or walnuts. ♥ I love how easy vinaigrette's are to make - simply add all ingredients to an old, clean jar, shake, and keep in fridge! 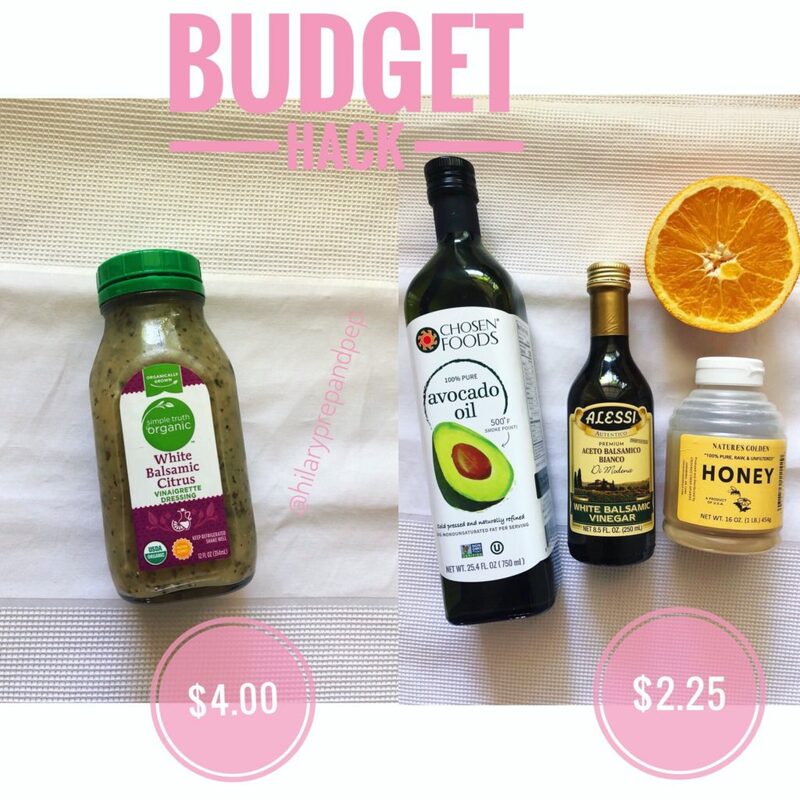 ♥ I used avocado oil because I love it's incredibly light taste. It's a little pricier, so you can save even more money by using your standard oil and it tastes just as great! ♥ If you don't have an orange sitting around, trade out the white balsamic for apple cider vinegar. Combine first three ingredients in small bowl. Whisk in the ranch seasoning. Store in airtight container in fridge for 2-3 weeks. ♥ The fat content of the recipe will vary depending on what kind of yogurt, milk, and mayonnaise you use. Use what you like! 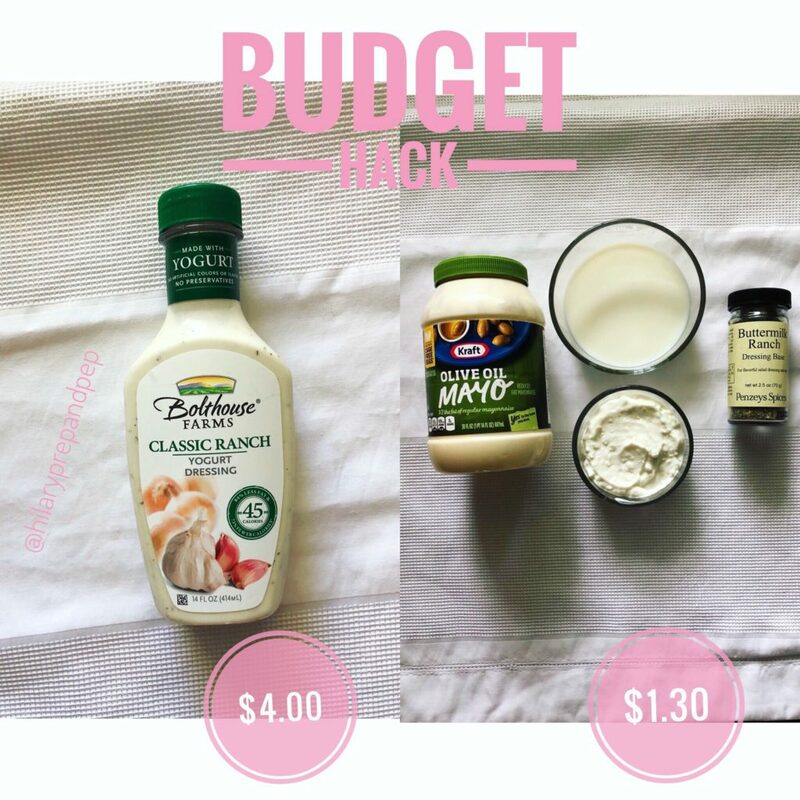 ♥ I used homemade Greek yogurt, but the price difference reflects if ranch is made with Fage 0% plain greek yogurt, which I sometimes do. 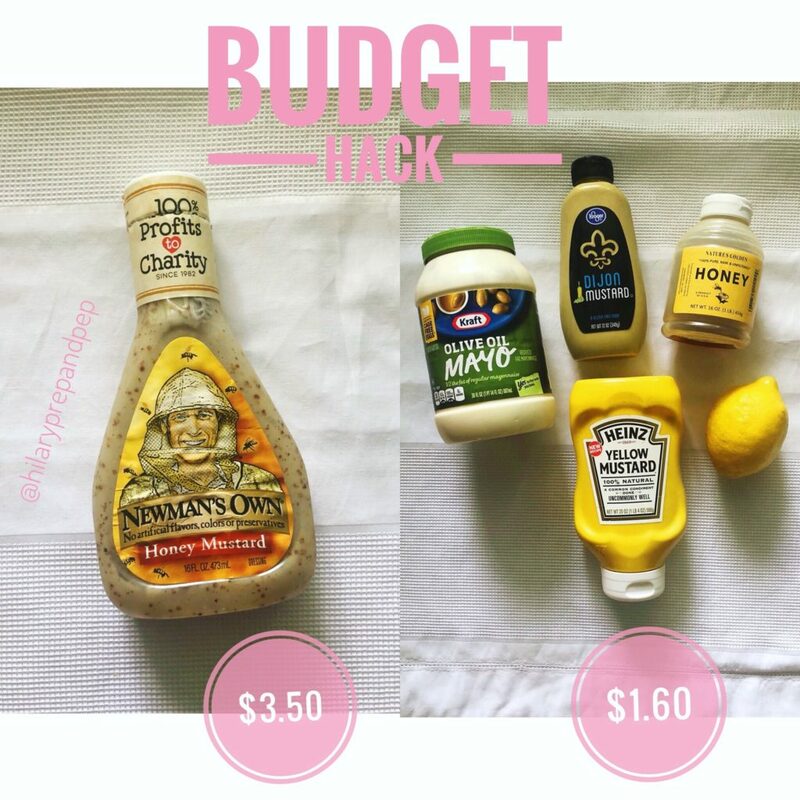 ♥ You can use a ranch packet and still save some money, but this is still slightly more expensive than using a jar of seasoning and you will need to buy more often. 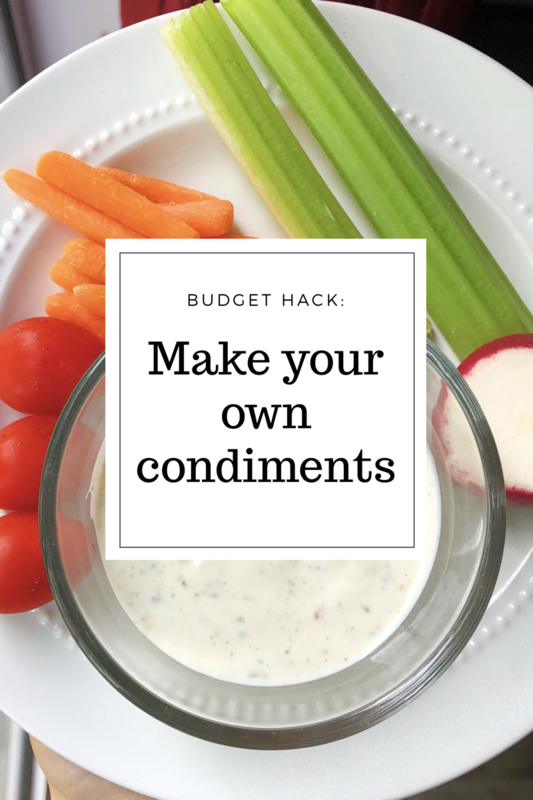 Invest in a good jar of Ranch Dressing Base - you will spend a little more upfront, but save money in the long run (especially if you use ranch a lot!) I LOVE Penzeys Spices [check out the link below to see more of their great products]. 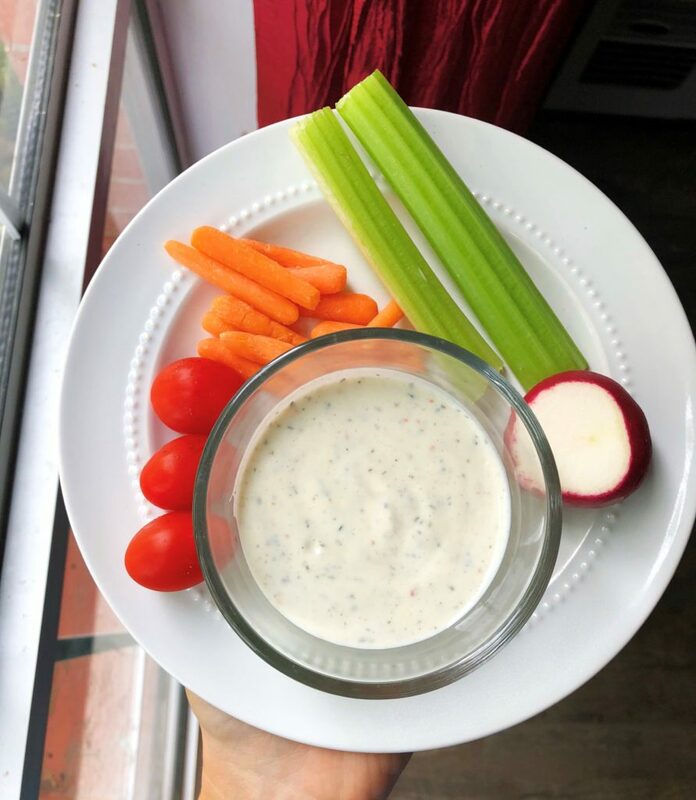 ♥ This ranch dressing is great as a dip for veggies! If you like a slightly runnier dressing (like for salad), adjust the recipe by adding a little more milk 1 tbsp at a time until you reach your desired consistency! Whisk all ingredients in small bowl. Store in fridge. for 2-3 weeks. 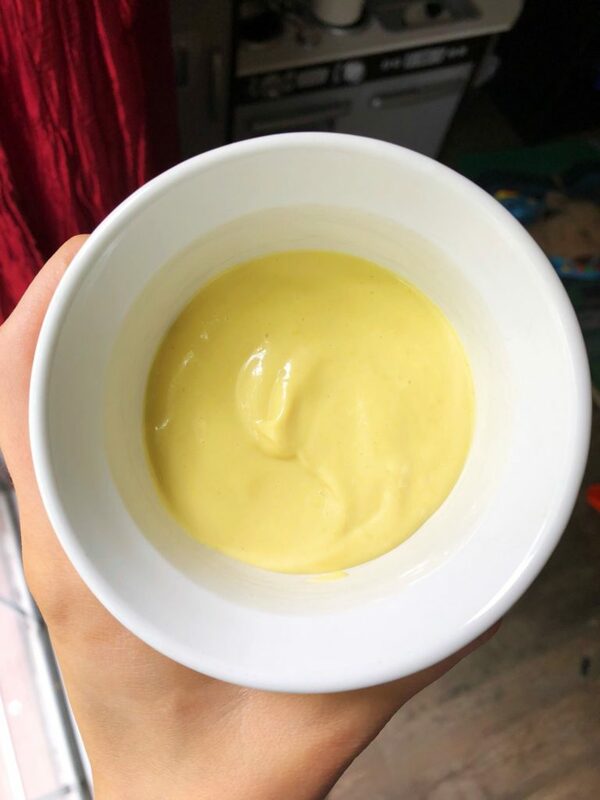 ♥ My family LOVES this honey mustard recipe. We have it with baked chicken strips often! It's also great to use as your condiments for a turkey, bacon, lettuce, and tomato wrap. ♥ You can also use the greek yogurt method above (3/4 cup nonfat plain greek yogurt with 1/4 cup olive oil mayonnaise) to up the protein and lower the fat content. ♥ I love using olive oil mayonnaise. The calorie amount is the same as regular mayonnaise, but uses olive oil, which has those heart-healthy monounsaturafted fats! 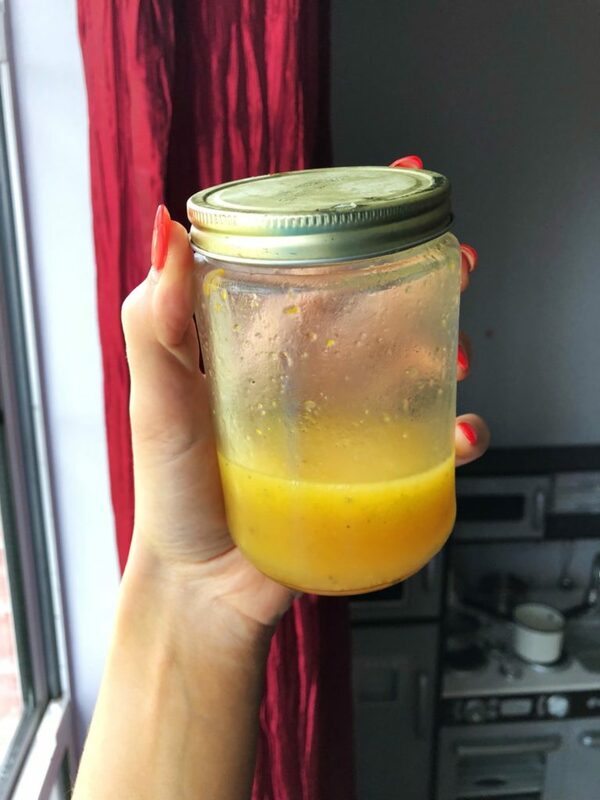 ♥ If you want to make this more of a salad dressing, skip the lemon and add 1/4 cup apple cider vinegar and salt and pepper to taste! Give these recipes a try and save yourself a little money!